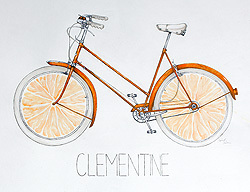 "Clementine" by Bechet Allen, Vermont Academy, is featured on the Student Art Month poster. Throughout the years, we have celebrated blossoming young artists in Windham County while recognizing the teachers and school infrastructures that help these students flourish. This year's 37th annual Student Art Month gives recognition to the outstanding visual art created by Windham County's elementary, middle school, and high school students. In 2016, Arts Council of Windham County (ACWC) provided a spotlight for over 300 pieces of featured student work from 18 schools. The celebration and kick-off of Student Art Month will take place on Friday, March 3, beginning at 5:00 p.m. in the Robert H. Gibson River Garden, 157 Main Street, Brattleboro. Sharing the River Garden that evening is Brattleboro Time Trade's annual Spring Forward event. Two band performances by area youth will be happening during the evening, one by Brattleboro's Nomad vs. Settler, renowned for its originals and creative arrangements; the other by Raspberry Jam, a sensational high school rock group from Greenfield, Mass., featuring vocalist Elsie Almeida. Throughout the month of March, the 2-D High School art will be exhibited at The Gallery at the River Garden, open Mon.-Sat. 9:00 to 5:00, except during special events. The 3-D works (pottery and sculpture) will be on the second floor at Vermont Artisan Designs, 106 Main Street, open daily from 10:00. Elementary school artists will be exhibited at Brooks Memorial Library and other public places throughout downtown Brattleboro. Artwork created by high school students will be judged by a panel of professional artists. Awards are given for Best of Show in various categories and Special Commendations to many high school student artists. As the show continues throughout the month, the public also has the opportunity to vote for their favorite pieces to receive "People's Choice Awards." In addition to the Student Art Month celebration, ACWC is launching an internship program focused on connecting individuals with artists and art organizations throughout Windham County. More details will be shared soon about this opportunity! 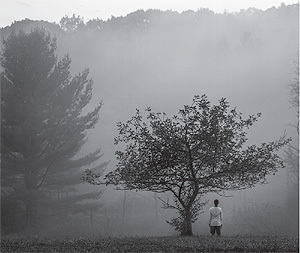 The Arts Council of Windham County works to strengthen the environment for artists and arts organizations in Windham County by acting as a resource hub for artists while connecting people with the culture of Southern Vermont. We are looking for new Trustees to fill various board roles in addition to volunteers to help hang the Student Art Month shows each season. Please email ACWC president Shanta Lee Gander if you would like to explore joining the board or volunteer, shantavns@gmail.com. Further information: Arts Council of Windham County, PO Box 6093, Brattleboro, VT 05302; www.acwc.us.